Getting started towards a healthier and stronger version of ourselves can often be the most challenging part of a commitment to a healthy active lifestyle. Maybe you are feeling confused or intimated about where to start your fitness plan? 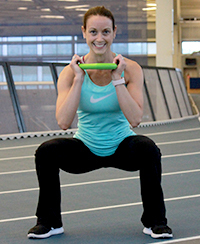 Are you unsure of your fitness level and don’t know what class to attend? We want to help you pick the right class, meet new friends and know a little bit about our energetic instructors before you take their class. With over 65 classes offered each week and more than 25 instructors, you can challenge yourself to try them all over time! Read on to learn more about our Fitness Instructors, their certifications, passions and perhaps even their fitness super powers. Fitness and healthy living are Amber’s passion. She loves to help people exceed their expectations and to realize they can do more than they ever thought they could. 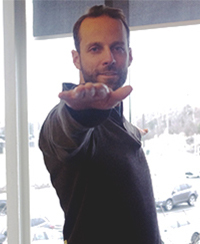 To help people discover their own superpower! Alison has a passion for fitness and truly feels that her participants are what motivate her everyday! Aprill’s passion is to help people achieve their personal goals. She is motivated by trying new things and challenging herself. Ability to jump squat to infinity and beyond! 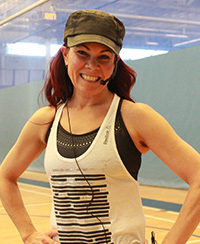 In the fitness world, what motivates Adèle is music. She loves moving to music and grew up with Highland Dancing, so choreography is one of her passions that just comes naturally to her. She always plays fun playlists during her classes, so you can always count on hearing Thriller around the Halloween months. The members in her class always say they love her music and how hard she works them. Ability to give people the power to be a bit silly and let go of all their worries and responsibilities. Put a smile on their face, even if it’s just for an hour! Amanda’s passion has always been dance, she loves the feeling when the music starts. Her motivation is to share this rewarding experience with others. Zumba® has allowed Amanda to express herself on the dance floor without judgement. It never feels like a workout. 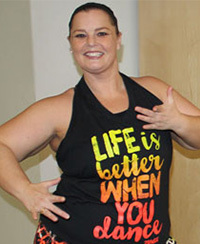 Amanda is also motived by the joy and happiness the world of Zumba® has given to her and the wonderful people she has been fortunate to meet along her Zumba® Journey. Ability to have never-ending endurance, so she could dance 24/7! 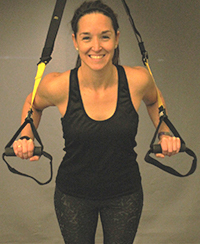 Anne loves working with people to help them achieve their fitness goals as well as motivating them to work hard and push themselves to their limits during group exercises. 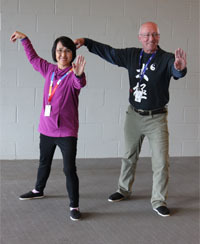 Bil and Wai Kam both have a passion for studying the movements of Tai Chi and Qi Gong. 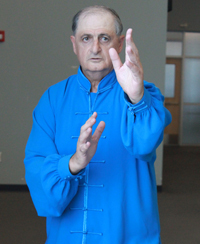 They started studying Tai Chi in 1982 at beginner classes in Beijing, China. Since then they have has practiced in Taiwan, Hong Kong and China. They are motivated to lead classes that will benefit personal health and wish to share their knowledge with others. Ability to have super patience! 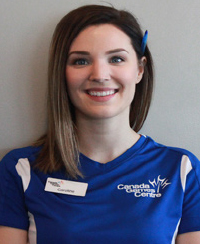 Candice is passionate about trying new things; she is motivated by learning and doing things differently. To be able to teach anyone to do anything! Caroline enjoys indoor and outdoor rock climbing, weight lifting, cooking and laughing. 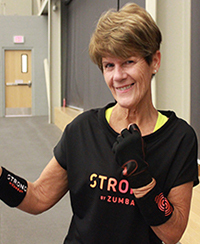 Carolyn is motivated by how healthy she feels at her age and by the great feedback she gets from the people in her classes. Ability to super motivate others! Charly’ passion is health, fitness and fun through sport. As a lifelong cyclist and music lover, combining both in spin class is the only motivation required. To motivate cyclist to enjoy and get the most out of their ride. 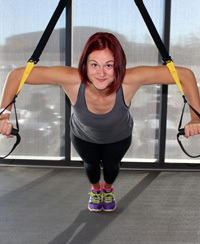 Dennette has been a certified fitness instructor for 30 years. 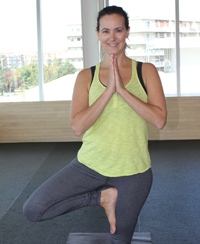 Her passion for fitness and a need for balance in her life is lead by her yoga practice. 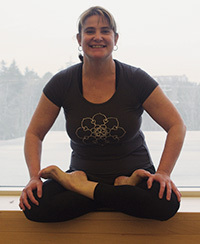 She is grateful for how seamlessly she has been able to integrate yoga into all aspects of her life and is motivated by sharing what she loves with others. Ability for super authenticity. What you see, what you hear; it’s all real. Erlinda is a mother, wife and grandmother and has been leading fitness classes for over 14 years. 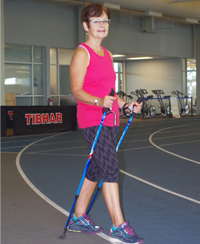 Her personal medical history is what keeps her motivated to stay active. She has a passion for following a good diet and acquiring an acceptable level of fitness. These are the two most important things you can do in shaping your health and wellness no matter what age you are. Ability for super strength and endurance during exercise! 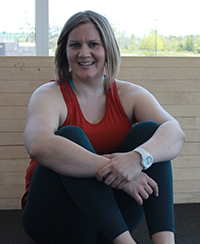 Gail is a passionate and motivated instructor who loves to engage with her class and help people remain active. Her background in ballroom dance, anatomy and physiology have helped to enhance her teaching styles. During her program, she strives to help with proper movement and keeping participants informed about injury prevention. 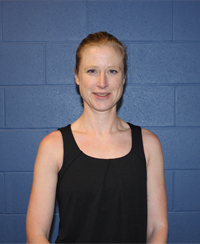 She has been a Group Fitness Instructor since 1984 and has worked at CGC since the doors opened in 2011. Ability to inspire others to enjoy all forms of fitness, especially moving to great music. 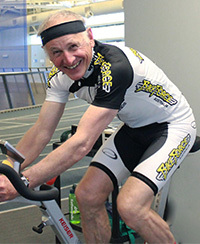 George’s passion is biking, and he says “if you want to be fast, you have to go where fast guys are, period.” He also finds giving back to the community very rewarding. To be my own best version and pushing to get better every single day. Jim has a Technical Degree in Cartography, an Undergrad Degree in Marine Geography, and a Masters Degree in Environmental Studies. 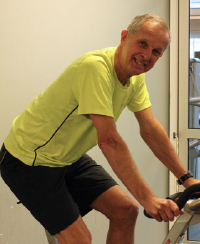 His passion and motivation is getting more people on bikes. No fear of hills, either going up or going down! 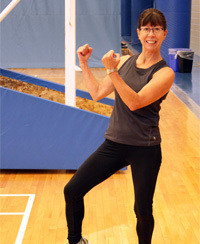 Teaching, whether in fitness or in education, has always been Judy’s passion. Staying healthy and meeting new people motivates her. To pass on good health and fitness to others. Kathryn just loves to feel good and healthy; exercising and yoga gives her that perfect result. It makes her feel happier in her skin after a good workout or yoga practice. Leslie loves motivating people to move, have a positive mindset, and have fun! Meaghan’s motivation is helping others achieve their fitness goals, to teach them something new and to have fun while doing it! Nancy’s passion is motivating others to enjoy fitness as much as she does. Seeing each of her class participants working hard. to their maximum ability, and walking away after class with a sense of accomplishment, makes her so proud and happy. Natalie’s motivation is her family – her husband, 7 year old daughter, and 4 year old son. Her passion is helping and inspiring young girls to follow their dreams and create positive change in their community. Fitness Super Power: Acrobatic powers; to be able to do flips, have amazing balance and walk on my hands! 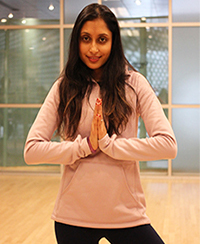 Priyanka’s motivation is to create and grow in dance and yoga. She is passionate about guiding others and learning while teaching, and playing and exploring with movement. Abdominal and core strength, strong consciousness and awareness of self and my body. Ron has a Bachelor Degree in English Literature and Philosophy from Saint Mary’s University. He is very passionate about learning because it makes him happy. 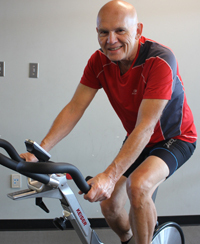 Steve’s motivation is to contribute to both an individual and community’s health and happiness. Tara has a passion for eating healthy, and exercising. She is motivated to create a class environment that welcomes everyone, encourages everyone to challenge themselves, and maybe have a few laughs along the way! She also loves to hear success stories from her participants! Ability to never get tired!…or injured! 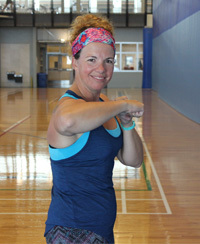 Tracy is the Creative Director and Fitness Chair for Bust a Move for Breast Health. She has a passion for inspiring people to move and think differently about their bodies, minds and health. Ability to make anybody and everybody laugh! 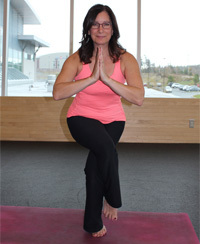 Terrilee is passionate about yoga; for her, yoga is amazing and has so many health benefits. She wants to share these benefits with others. Wanda’s motivation and passion is to help people meet their fitness goals day by day… even if it is to just make them smile! If there is music, move it, MOVE IT! !